Content is certainly an important part of any online success, try and add as much new content as you can every week, this will get you noticed by the major search engines and your website will soon become popular with visitors too. An important part of any website's success is to find ways to keep people on your website for as long as possible, so keep it interesting and add video if you can, people love to watch videos, better than reading isn't it. To be successful online you need an eye catching fast loading website, a matching blog that automatically updates your home page and your social networking sites too, and be able to add unlimited pages yourself with ease so your website grows over time into a comprehensive online resource. 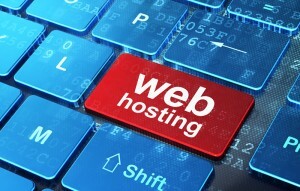 A top quality business web hosting package that is based in the UK can actually help with your search engine positions and also if you use a .co.uk domain, this really does make a small difference and every little helps of course. Here's what to do, move to our web hosting, we add a blog to match your website, we link it up to your social networking sites and your home page. When you add a new blog post, which is in fact a new additional webpage, (did I mention unlimited pages? ), the blog post will not only appear on your blog but will add a snippet to your main website's home page and all your social sites too, thus sending out social signals to all the search engines for you automatically. This is the activity that Google and others are looking for when it comes to your website positions, but always remember, never underestimate the power of the social network. One of the real key elements these days with your Internet marketing efforts is the use of social networking sites. Businesses seem to underestimate the sheer power of social network sites and fail to grasp their importance when it comes to their Internet marketing activities. We all know about Twitter and Facebook, Linkedin, Google Plus and Youtube but there are others too, such as Tumblr, Pinterest, WordPress, Blogpost and Livejournal to name but a few. Actually, our system even updates some of these for you automatically, check out our social network sites page. Getting the right Internet marketing company to take over the online marketing of your website is key to your online success but finding this company is the tricky part, there are so many out there claiming they can achieve so much but then deliver so little, similar to some web design firm's, so beware the clever sales person. 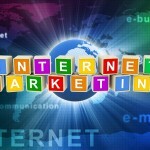 What is Internet Marketing? or Search Engine Marketing? Simply put, it's optimising your web pages and building regular high page rank links back to your own company website on a regular basis, plenty of regular social networking on sites such as Twitter, Facebook, Linkedin and Google plus, and not forgetting, Pinterest. However, there are many others social networking sites too that are just as important, a good one is tumblr, another is livejournal. There are many ways to market a website, from simple SEO and social networking to a complete Internet marketing package. We handle the online marketing for a number of businesses from sole traders right up to corporate companies so why not let us market your business website and improve your online visibility. One thing we have learned over the years is to keep up with the ever changing search engines, what they look for in a website changes dramatically from year to year, and month to month, although certain things have always stayed the same, good optimisation, regular content updates and the right kind of link building. With our wordpress website design it's easy to self market your own website, this is achieved by simply adding a new page, (post), this will then automatically update your social networking sites for you, this will increase your online status and popularity and soon the major search engines will take notice of you. Going social is imperative these days and most of us now have accounts with facebook, twitter, linkedin etc, these are your social network sites and keeping them updated regular is crucial. After a few months of regular updates you will soon accumulate a following and this can soon lead to new business, for free. The best step in social networking is to sign up with as many sites as you can handle and update them regular. The more popular social network sites are facebook and twitter, linkedin and google plus, youtube and wordpress.com and also tumblr and pinterest, although instagram is getting popular, other great sites you can use are blogger, reddit and stumbleupon too. As for link building, this can do more harm than good if you do it wrong, and believe me, this is easy. 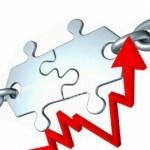 You must have a variety of back links from a range of different sites, from low ranking to high profile websites, although the more high profile websites you can get back links from the better, and these have to be regular, such as 30 per month on average. The key is to get links from high authority websites pointing back to your site, this is the hard part, but we have access to many of these websites so if you want these exclusive powerful links, get in touch.